Sure, I eat organic food because I think it’s healthier for me than food grown with synthetic, toxic agrochemicals or food that’s been genetically engineered or injected with growth hormones. But equally important to me are the multiple ecosystem services and broader benefits for society that organic farming provides. For starters, when you eat organic, you support a system of food production that taps into the very best of what nature has to offer. You eschew farming practices that aim to overpower nature’s complex ecological systems by taming them with artificial chemicals. You reject the growing of a single crop on sterile land bereft of vegetation that extends for miles. And you sustain organic farmers and farming practices that enrich nature’s ecology by producing strong plants that resist pests and disease and produce healthy and delicious food. When you eat organic, you endorse farming systems designed to maintain and improve the physical, chemical, and biological conditions of soil. Organic farmers manage crop nutrients and soil fertility through the application of organic matter and compost, as the organic regulations require. They plant cover crops for weed suppression, to increase earthworms and beneficial microorganisms in the soil, and to add essential plant nutrients that assist in plant growth and seed and fruit production. These practices also mitigate the adverse effects of climate change by improving soil’s water-holding capacity and regulating soil temperatures so that crops can survive during droughts, floods, and bouts of extreme heat or cold. When you eat organic, you contribute to conserving water, protecting biological diversity, and defending wildlife, wild nature, and pollinators like bees, and butterflies. Standard organic farming practices such as planting high residue cover and rotational crops, like oats and hay, create large volumes of plant biomass that increase the amount of carbon stored (sequestered) in soils. These practices also prevent erosion and topsoil loss. Planting native hedgerows creates wildlife habitats and attracts pollinators, beneficial insects, and birds that fertilize crops and combat pests. Hedgerows have the added benefit of filtering waterborne pathogens in their root systems, filtering windborne pathogens on their vegetation, and regulating water flow to crops. 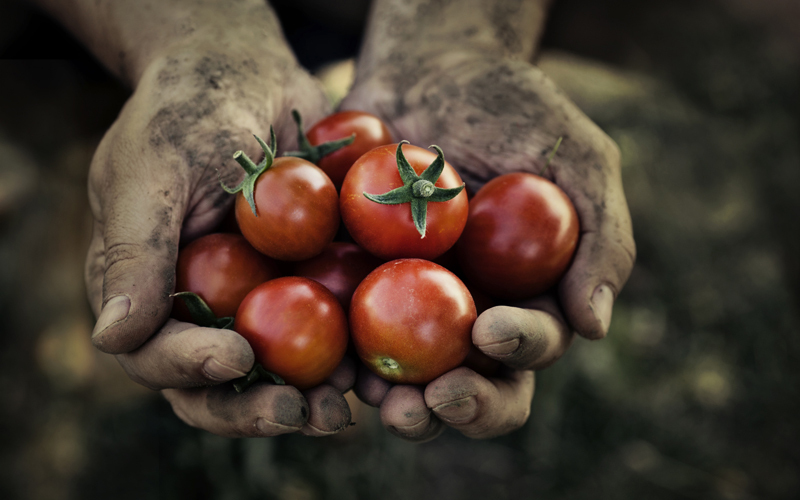 When you eat organic, you also champion a healthier environment for those who grow your food. That’s not to say that farm work, organic or not, is easy. But a farm is certainly a healthier place for farmers to work when they are not exposed to synthetic fertilizers, insecticides, herbicides, and fungicides as they labor. Growing organic is also healthier for farming families and the communities where food is grown because those major sources of hazardous air and soilborne farm chemicals are largely eliminated. So are the accompanying social costs of ill health, reproductive disorders, and compromised immune systems. Since antibiotics and non-naturally occurring growth hormones are prohibited in organic animal rearing, organically raised animals receive more ethical treatment. Humans benefit, too, from not eating meat injected with drugs. With all of the societal advantages of organic food production systems, it’s not surprising—and it’s certainly justifiable—that organic farmers get paid a premium price for the food they grow. After all, they use their labor, ingenuity, experiential knowledge, and instincts to maintain crop yields, instead of relying on quick toxic chemical fixes or unproven genetic engineering technology. They produce healthy food that’s good for the planet and all of its inhabitants, and they deserve to get paid a fair price for it. So, when you eat organic, you can feel confident that you are contributing to a better world by supporting farmers and farming practices that steward the fertile land upon which a secure food future depends. What’s more, you help ensure that current and future generations of farmers can continue to provide themselves, their communities, and the world with healthy and nutritious, fresh food. 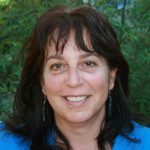 As organic policy director with the national public interest organization Center for Food Safety, Lisa J. Bunin’s work focuses on curbing the proliferation of harmful food-production technologies by promoting organic and sustainable agriculture and by challenging policies and practices that compromise organic integrity. Bunin holds a PhD in environmental sociology and is board president of the Ecological Farming Association. She also serves on the National Organic Coalition’s executive committee. Her research and advocacy span several decades and continents. She has served as an NGO delegate to the United Nations’ convention on ocean dumping, has taught college courses on environmental policy and social movements, and regularly writes critical analyses on organic policy matters. What If You Had $1 Billion Dollars and a Permanent Vacation? i wanna ask you if you have any books about the using of organic foods in the hospitality industry, and i am author in that field and i need your help. What are you talking about?? Organic does not in any way guarantee the promises suggested in this article! Most organic is imported, first of all, which food is grown under un-certifiable circumstances. Workers on organic farms in California and elsewhere are, in most cases, treated exactly as deplorably as on conventional farms. Maybe slightly fewer chemicals, but “organic” does not mean “chemical free.” This article is way off. Air is going to polluted rapidly due to trees are decreases and manufacturer or other company produces huge amount of polluted gas. We all know living only possible by oxygen gas. Magneto Air purifier is provides you pure gas in your living room or office.